1. A father must cultivate a sense of family identity. 2. A father must demonstrate an ongoing love for his wife. 3. A father must understand and respect his child’s private world. 4. A father must keep his promises. 5. A father must give his children the freedom to fail. 6 A father must be the encourager of the family. 7. A father must routinely embrace his children. 8. 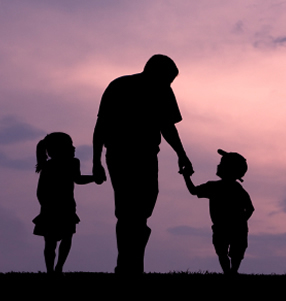 A father, if he’s going to build a relationship of trust with his children, must build it on God’s Word and not on human wisdom. Its never too late to begin being the Husband and Dad God wants you to be!